It is hard to not get a little over passionate about Times Of Conflict, the debut album from UK rockers CodeJAK. It is an album which just captivates the imagination and sparks an unbridled enthusiasm to throw off inhibitions and get dirty. Musically the band wonderfully is not that easy to pin down, at its core their sound is hard rock but rifling through its ranks there are vibrant veins of punk, metal, and a flurry of many more flavours. The album carries them all in to a thrilling and raucous explosion of invention; arguably the album does not stretch any existing barriers but it is hard to think of any one creating the same or an equally potent brew as this quartet. Formed in 2009, CodeJAK is a renowned hard working energy inspiring band who through their first EP Hell Yeah, and impressive live shows which has seen them explode stages alongside the likes of The Buzzcocks, The Selector, Sham 69, light up numerous festivals, and most recently supporting Fozzy across the UK and into Europe, has drawn a robust and strongly growing fan base. Early 2012 saw the band in the studio to create an album in Times Of Conflict which is as content in bruising the senses as it is triggering the inner devilment in us all with its unpredictable and imaginative mischief. The release is a riot of intrigue and insatiable teasing which leaves the heart as overjoyed as the ears. Right from the opening track The Ballad Of Jenny G one of the great things about the album is immediately to the fore, the unique tones of vocalist and guitarist Dan Turner. His voice drips expression and individualism to add a fiery and rasping depth to the already adventurous sounds. The first song is a thumping exchange of muscular rhythms and strident riffs which engage as firmly as a mantrap, their infectious lures irresistible. The sounds encroach like a union of Therapy?, The Heartbreakers, and The Wildhearts locked into a groove from Eighties Matchbox B-Line Disaster, and leave nothing but a vat of satisfaction in their wake. The stirring ingenuity is continued through the following Hell Yeah and When I Fall, both rampant slabs of riotous diversity. The first has a stoner vibe to its sinewy charge, the band assaulting with a delicious mix of Kyuss, XII Boar, and Triggermen. 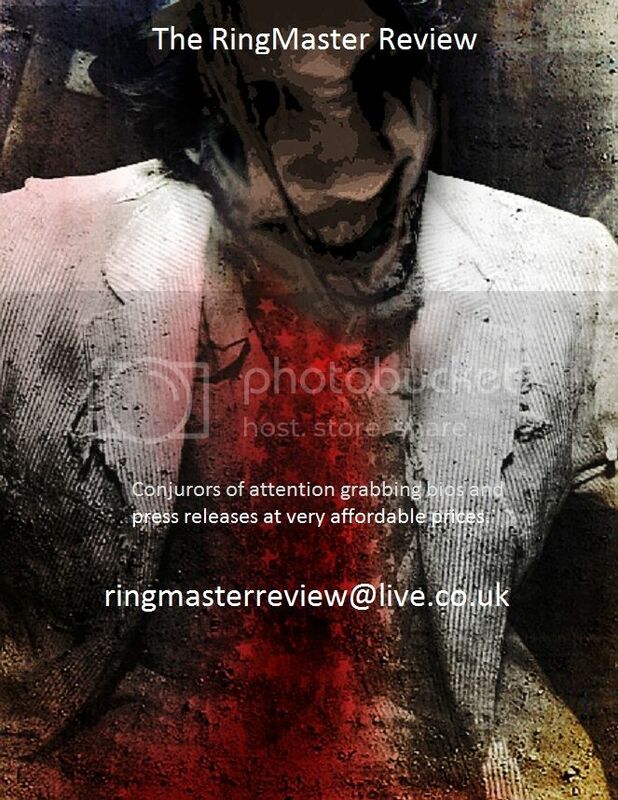 The spoken delivery spikes the scorched sounds excellently whilst the furious chorus and further growling outpourings flare with caustic might to fire up the passions which have already been set on full alert by the fine manipulative play from lead guitarist Dan Clark. The second of the two is no less a titan in offering a rampant contagion, the guitars again holding sway over the heart whilst the beats of Dave Turner treat the ear like a punch ball beneath his skilful intent. The song has a seductive swagger to its melodic grooved taunting which makes it in many ways recognisable from the start but distinctly unique too. The ever impressive bass of Dave Fisher groans and pulsates with a shadowed hunger throughout the sensational punk groove confrontation. Though the album is never less than enthralling and fully pleasing, it does undulate a little with the likes of the grunge gaited Sail Away, the emotive melodic rock coated Pull Out Your Knife, and the blues funk heat that is Serpentine, failing to match the earlier heights or further pinnacles set by songs such as Broken Man, a track which in its uncomplicated yet compulsive hooks and restrained presence just ticks all the right boxes, and the magnificent Sell My Soul. This track unleashes a punk and rock storm which easily shows why the band appeals and captures the passions of the fans of both genres. The track coats the ear in tight angular sonic enterprise and attitude driven riffs whist the vocals and rhythms ignite thought and emotion with their plaintive and firm handling of the senses. Times Of Conflict is outstanding, an album which just improves with each and every contact. CodeJAK are a breath of fresh air, a band already lighting up British rock with their spicy sounds and set to drive it to new heady heights in the future. 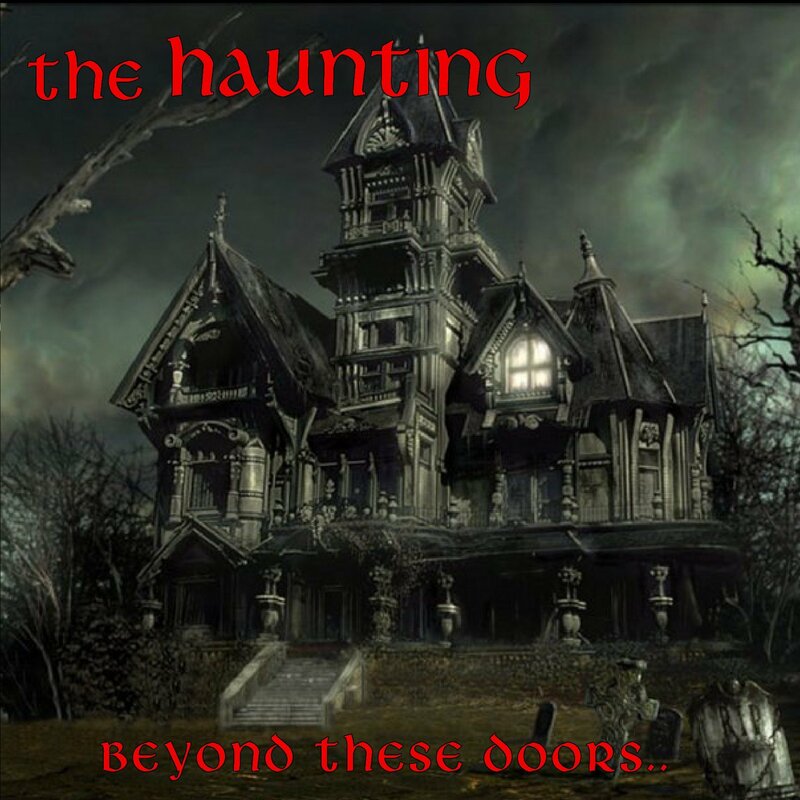 Though not quite veterans US hard rock/heavy metal band The Haunting has been around for just over a decade and is still relatively unknown outside of their homeland but with their latest album Beyond These Doors the chances of that changing are greatly raised. Displaying a straightforward blend of rock, metal and punk the Californian quartet have released an album that is simple pure rock ‘n’ roll without any complications or pretence. Uncluttered and direct Beyond These Doors just parties in the ear with heavy riffs and clean dark melodies that are as engaging as they are punchy. 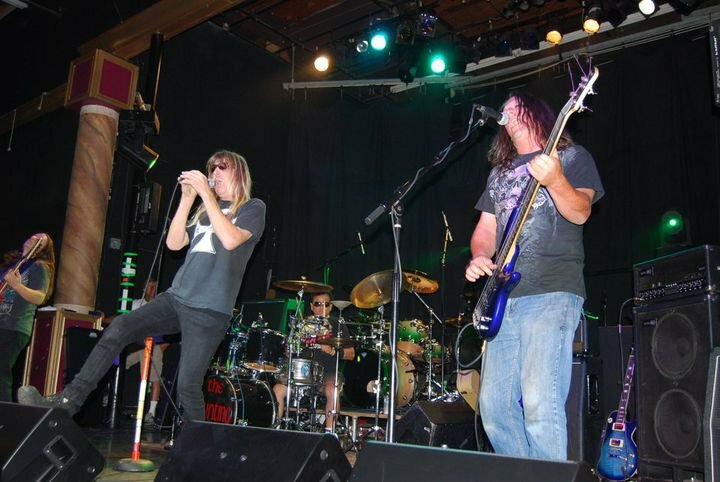 Formed in 1999 by lead guitarist Randy Korstick and drummer Jessie “2 Feathers” Melendrez, The Haunting gained their current line-up the following year with the addition of vocalist/guitarist Raven Celata and bassist Mike Gjede. Two demos in 2000 and 2002 started gaining them attention alongside shows but it was not until 2009 that the band entered Dinky Music studio in Corona, California to work on and subsequently release their album No One’s Innocent. 2010 saw them spend the whole year writing and working on its follow-up Beyond These Doors to be released earlier this year with the singles from it ‘Crank Up the Amps’ and ‘The Loser in Me’ leading the way. The songs on Beyond These Doors are generally themed from horror movies and carry an attitude that challenges you not to like them but no one can win that test with the eager and addict forming tunes on offer. Musically the band is a hybrid of Misfits/Ramones punk metal, Alice Cooper classic rock, and Johnny Thunders and The Heartbreakers rock ‘n’ roll. The clean simplicity of all those bands in league with ear catching instantaneous riffs and hooks that demand attention combining into an irresistible mix. The first track ‘Crank Up the Amps’ opens on a definite Heartbreakers type sound, its open rock ‘n’ roll directness eager to have fun. As the track declares “We got a rock ‘n’ roll party tonight” that is what it delivers without any qualms. The early Misfits toned ‘Creation’ takes over with Celata’s slightly Danzig like vocals and striking guitars teasing and taunting with riffs and razor sharp solos. The song, as is eventually revealed across all songs on the release, is never going to offer up the intricacies of progressive guitars and complicated rhythms from a Mastodon or the rampaging violence of a Brutal Truth but honest music that is just as definite to excite with its dark compulsive rock sounds. Each song is an intriguing and appeasing slice but ‘The Loser in Me’ with a sound bringing strong flavours from UK 70’s punk, another Misfits spiced burst of catchy rock in the shape of ‘The Knife’, and the addictive ‘Two O’Clock In The Morning’ blessed with more rock ‘n’ roll harking back to Johnny Thunders and a touch of New York Dolls, stand out from what are ten thoroughly enjoyable and fun tracks. Beyond These Doors to be honest has nothing particularly new about it but that is its big positive in many ways. It’s bringing in of obvious influences which every metal fan will find something to reminisce over, but used in the band’s own dark themed and joyful horror homage is an inviting and deeply satisfying result. The Haunting may still be a band that has still to enter your shadows but once it does their wicked rock ‘n’ roll grip will feed your heart for a long time to come.